Powered by a 15.5-horsepower (net) engine, Kubota KX018 mini excavator is designed to handle heavy loads and operate efficiently in confined spaces. It features a stability-enhancing variable-width undercarriage and boasts a digging depth and dumping height of 7’9.7”. The KX018 offers superior digging force for enhanced performance on demanding excavation operations. To ensure that you are maximizing the machine’s performance and functionality, it is important to equip your KX018 compact excavator with high-quality rubber tracks! Monster Tires has got you covered when it comes to high-quality rubber tracks for Kubota KX018 mini excavators. 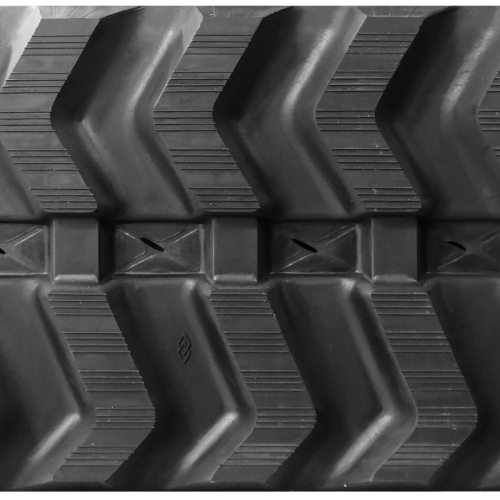 Our premium rubber tracks are made from highly durable rubber, constructed using the toughest, most resilient rubber compounds. These tracks are specially made to be puncture-resistant and anti-cracking for an extended service life. For increased strength and durability, each track is reinforced with a continuous steel belt made from durable heat-forged steel. We offer fast, reliable shipping for your convenience and our prices are sure to fit your budget. Call us today!